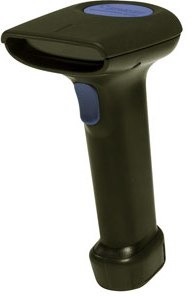 Datalogic Barcode Scanner. This listing is for the scanner only. Base Station not included. The QS6500BT combines the latest in linear imaging technology with certified Bluetooth cordless communications up to 33' away from the base unit. The QS6500BT is designed for customers seeking better performance in a handheld scanner for retail, health care, inventory, light commercial and office applications.